Cast aluminum with a black satin finish & leather pull thong. Vertical section for attachment: 9 1/2" long, horizontal extention for hanging: 13" long, bell: 5 1/2" tall x 7 3/4" wide. Fashioned to look like an antique bell, this country bell is reminiscent of simpler times. 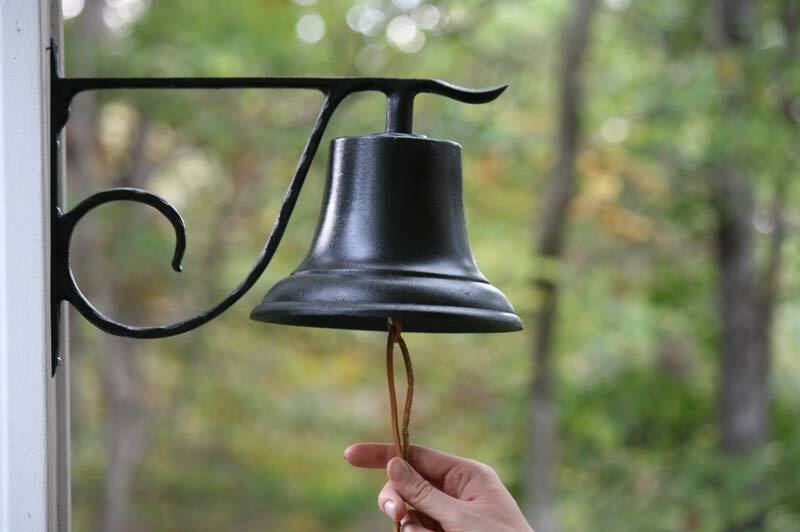 The cast aluminum bell has a black satin finish and a leather pull thong to be used for a fun tradition of calling the family in for dinner.